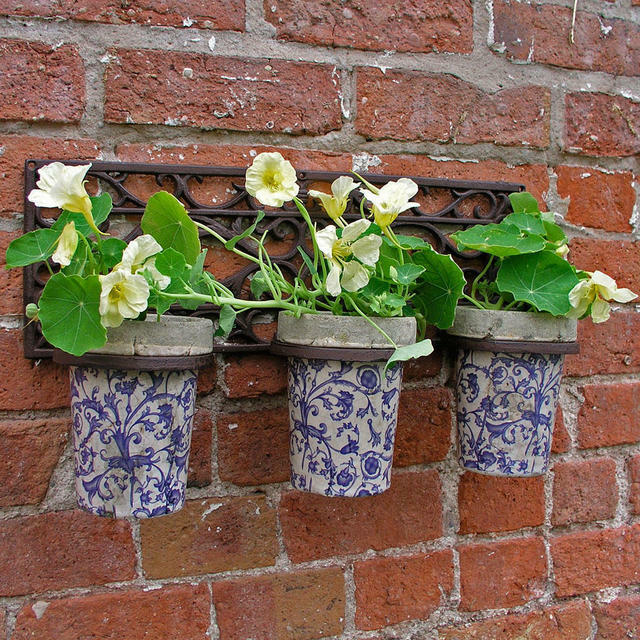 Lovely classic wall pot holder in a rusty metal finish with chinese blue and white aged ceramic glazed pots - you almost don't need the plants! Frost resistant. 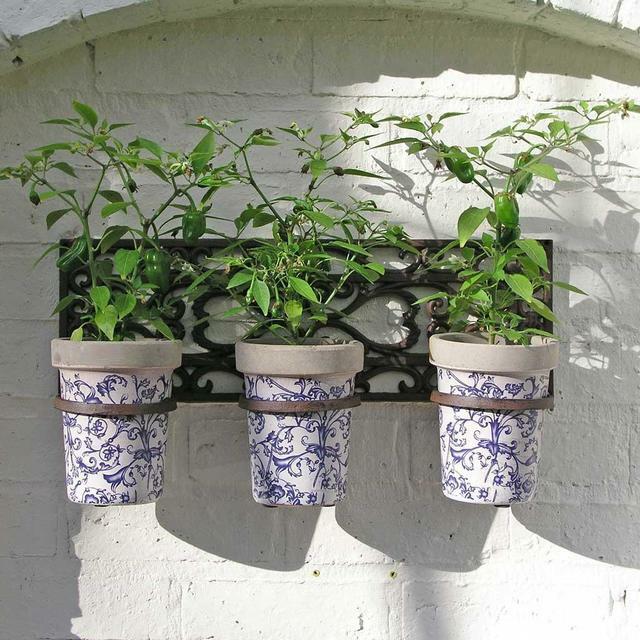 Drainage holes in the pots. 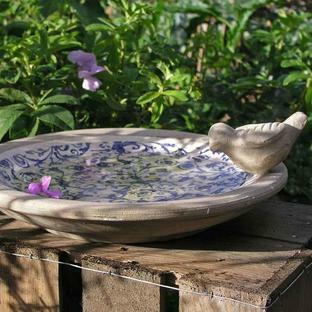 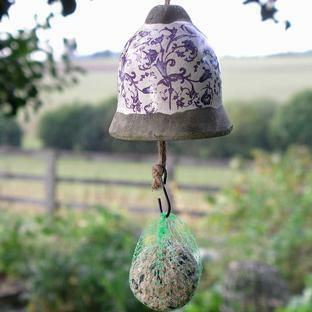 This blue and white design is also available on the Blue Ceramic Birdbath, and a Ceramic Bird Feeding Bell.